Breath life into your seasonal look, when you wear this Stunningly Edgy Hot Pink Digitally Printed Kurti Tunic from the latest collection by Snehal Creations. 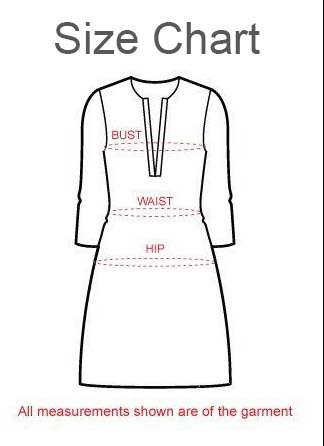 Made from faux crepe , this Kurta is light in weight and perfect for daily wear . It has round neck and cap sleeves. It's asymmetric pattern of lines and blocks gives it a chic look. Team it with a pair of black jeggings.